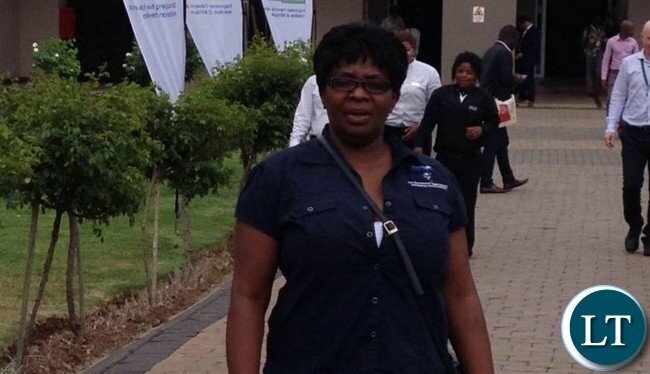 Non-Governmental Organizations’ Coordinating Council (NGOCC) Executive Director Engwase Mwale has called on Government to prioritize key social sectors of the economy in the 2018 National Budget. In a statement today, Ms. Mwale said NGOCC has over the years been concerned that key planning and resource allocation instruments of the Government like the Annual National Budgets have remained generally gender blind despite the glaring existing inequality between women and men. Ms. Mwale said this has partly contributed to the country experiencing positive economic growth that has not translated into a significant reduction in poverty levels, especially among women. The NGOCC executive Director noted that with the recently launched Seventh National Development Plan, NGOCC is hopeful that measures will be put in place in the 2018 National Budget that will ensure that no one is left behind as per the theme of the Plan. Ms. Mwale emphasized that in the on-going 2018 National Budget consultations, NGOCC is submitting that government through the 2018 National Budget puts in place measures that will balance the need for positive economic growth and poverty reduction. Ms. Mwale noted that NGOCC is of the strong view that allocation of adequate resources to key social sectors of the economy such as education, health, social protection and agriculture, coupled with efficient and effective implementation of the programmes under these sectors is key to poverty reduction. And Ms. Mwale said under the education sector, NGOCC is proposing that government allocates at least 20 percent of the 2018 national budget towards the sector in improving the quality of education. She also suggested that the priority must be given to procurement of learning materials and equipment such as computers, adding Government must prioritize the retention of the girl child in the school system in order to attain gender parity in education through the construction of boarding facilities and expediting the provision of free sanitary towels, especially in rural areas to reduce cases of teenage pregnancies and child marriages and promote hygiene. And Ms. Mwale said to address the rising cost of living in Zambia, NGOCC is calling on government to increase further the income tax free threshold from the current K3, 300 to K5, 000 to match the high cost of living which is hindering equitable access to basic social services like health, education, water and sanitation, by most households. Next articleState appeals against Court’s decision to acquit former Minister of Tourism, Sylvia Masebo.